The rules and timeframe fro the 2015 Duck Stamp competition had been announced by the Louisiana Department of Wildlife and Fisheries (LDWF) and this year the blue-winged teal is featured species for this year competition since bluewings are the earliest migrants in the fall and the most abundant species. incongruous by series collectors or may limit the breadth of appeal among print buyers. The Louisiana Legislature authorized the Louisiana Waterfowl Conservation Stamp program in 1988. The program was created to generate revenues for conservation and enhancement of waterfowl populations and habitats in Louisiana. During the last 23 years, over $11 million has been generated for wetland conservation with approximately $5 million spent on land acquisition. In addition, revenues have supported wetland development projects on Wildlife Management Areas and the Louisiana Waterfowl Project, a cooperative endeavor between LDWF, Ducks Unlimited, the Natural Resources Conservation Service, and U.S. Fish and Wildlife Service to provide habitat for waterfowl and other wetland birds on private lands. 1. Accuracy of form, size, proportion, color and posture. 2. 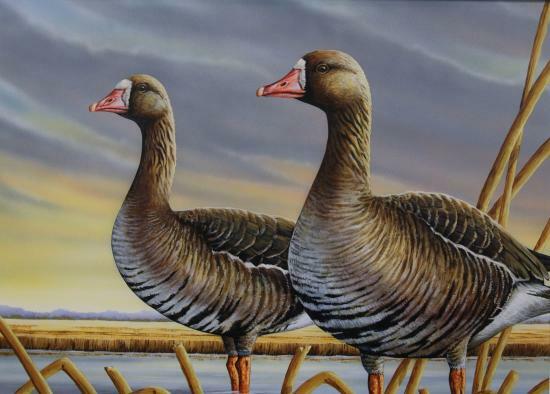 Level and accuracy of detail in all aspects of the waterfowl. 3. Appropriateness, accuracy and detail in depiction of the habitat. 4. Attractiveness and creativity in composition, subject, background and lighting. 5. Suitability for reproduction as stamps and prints. A panel of judges with experience in waterfowl biology and/or artistic method will select the winning design. The competition is open to all artists 18 years of age and older. Employees of LDWF and members of their immediate families are ineligible. Clifford Sanderson is an internet marketer and sole author of this Dove Hunting Blog. Follow me at Twitter @DoveHunter.